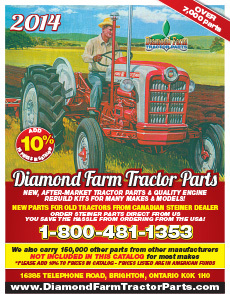 Diamond Farm Tractor Parts in CANADA - HOME! or CALL TO ORDER YOUR COPY TODAY! On-line ordering is now available! THANK YOU FOR VISITING OUR ON-LINE ORDERING INTERNET SITE! We are making an effort to present you with our entire spectrum of offers as soon as possible. 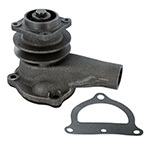 At this point we can provide you with information regarding Farm Tractor Parts. The emphasis of our site is on providing high quality aftermarket parts for most makes and models of farm tractors and agricultural equipment. 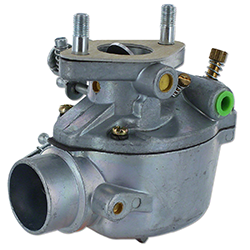 FDS1097 - Ford - Fits: 8N (Late - sn 263844 and up - 1950-1952 with side mounted distributor, (Distributor is mounted to the right side of engine & alternator is mounted on left side). You must use your existing fan belt. THIS KIT MAKES A SIMPLE 1 WIRE HOOKUP (FOR NEGATIVE GROUND SYSTEMS). INSTRUCTION SHEET INCLUDES HOW TO SWITCH FROM POSITIVE GROUND. Does NOT include light bulbs, sold separately.